THANKSGIVING! A time to be thankful, but better known as the holiday about food! In commemoration, I decided I would write a few Thanksgiving posts! I mean, this is a food blog, after all. The Facebook page also will have links to recipes you can make for the holiday dinners/potlucks, so go check it out!!! Thanksgiving dinner is usually complete with cranberry sauce. I remember growing up, we would purchase the canned cranberry sauce. I wasn't very fond of the gelatinous wiggly thing that would fall out of the can onto a plate to then be sliced to look slightly more appealing. So, I began to make my own cranberry sauce. I like to brighten up the normal cranberry sauce by adding clementines to create a tangy, tart flavor that perfectly compliments any Thanksgiving feast. Clementines are smaller, and sweeter than oranges (but they also happened to be the only citrus at my grandfather's house). I got cranberries for $2 (so worth it!) at my local grocery store. They should be easy to find because they are in season. Try this simple, inexpensive recipe for your Thanksgiving dinner! 1. Rinse and pour cranberries into a small saucepan. 2. Zest the 2 clementines and add it to the sauce. If you want larger pieces, you can use a vegetable peeler to remove the zest and then cut it smaller with a knife. 3. Place the zest into the pot with the cranberries. 4. Cut the clementines in half and squeeze all of the juice from them. It is okay to have the pulp in the sauce, since it will cook down. 5. Add sugar, honey, and salt to the pot. 6. Heat on low heat, stirring occasionally. The heat will begin to open the cranberries. Remove from the heat when all of the cranberries have opened. You can make this sauce days before, refrigerate it, and then reheat it when you're ready to serve it. You can also use this as a spread for post-Thanksgiving sandwiches (the best way to use Thanksgiving leftovers). 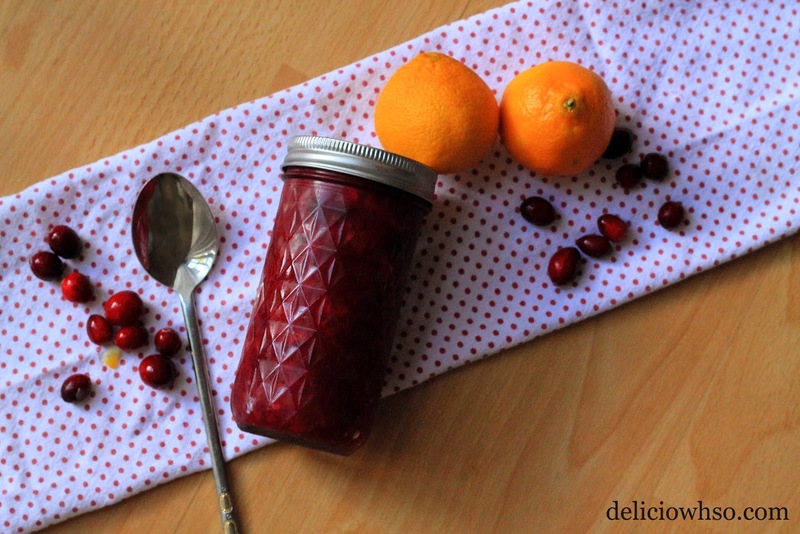 Make this cranberry sauce as a healthy, fresh alternative to the canned jelly-sauce. Lastly, I am extremely thankful for all of my readers! I hope that you all enjoy your holiday! Be sure to create and share these dishes with your close friends and family to let them know you are thankful for them as well! Stay tuned for more Thanksgiving recipes!